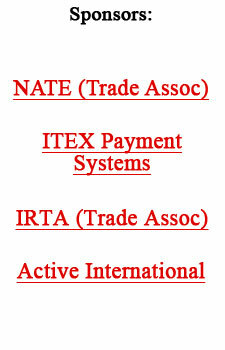 ITEX, the largest trade network in the U.S., will provide new computers, software and monitors, for its franchise network and corporate offices to replace existing desktop systems. Software to include Microsoft Windows 7 and Office Small Business 2010, plus 180 Dell computer systems are expected to be purchased upon launch of Office 2010. On April 15, representatives from the commercial barter industry will address the Ethics Committee of the North Carolina Bar Association regarding a proposal that would prohibit attorneys in that state from participating in barter exchanges. Industry leaders believe that such a negative stance, if adopted, could spread and cause problems for the entire commercial barter industry. Ron Whitney, executive director of the International Reciprocal Trade Association (IRTA), will be arguing the matter in front of the Ethics Committee. Maurya Lane, founder and president of the Barter Business Exchange in Carey (NC), will accompany Whitney. Additionally, Gary Oshry, President of the National Association of Trade Exchanges (NATE), has written a letter to the North Carolina Bar in opposition to the proposed opinion. Chicago-based Jack Schacht formed Illinois Trade Association back in 1983, and built it into the largest independent trade exchange in the country. In September 2006 he sold the company to IMS Barter, cashing out for millions. Now the tenacious entrepreneur has moved in another direction with a brainstorm that will provide nonprofit organizations the ability to have their own internet store complete with their nonprofit�s logo. The store will offer over 10,000 high quality products with genuine, verifiable discounts. The nonprofit organization will earn 30% of the gross profit and they�ll be able to ask for an additional donation at checkout. There is no cost to the nonprofits for their store and the program requires no additional staff or volunteers to maintain it. Schacht will be working with advisors � associates who will call and introduce nonprofits to this new program. The new venture is expected to be up and running on July 15, 2010. Is your company short on the talent to grow your business as fast as you�d like? Are you undercapitalized at the moment? Maybe it�s time to hire some full or part-time people by the hour, week or month, without committing to long-term employment. You not only gain flexibility but the contract workers will bring you a fresh perspective and some new ideas. Contract workers are generally available to start work within 48 hours with little or no upfront costs. Now is the time, with the nascent recovery of the economy, to seize the initiative and secure that needed temporary talent. The first call for such talent should be to your trade exchange broker, who can steer you to various entities within the exchange to fulfill your needs and desires.